How are your workouts going this year so far? Aside from some knee aches, my workouts have been going great! I’ve been creating a workout challenge program and we’ve been going through it to test it out (I’ll be offering it later this year!). It’s great so far, we’re all loving it, but boy am I sore today! Time for some R&R today to recover my muscles a bit. Even though I’m sore, I’m still going to move today, but I’m definitely going to fit in some recovery work like foam rollin, maybe the sauna, and plenty of stretching today. Sometimes in our quest to reach our fitness goals, we completely forget to take the time to care for our bodies. As important as working out is, it’s crucial to include plenty of rest and recovery in your weekly workout schedule. When you get sore from workouts or feel fatigued, take some time to restore your body through self care. Your next workout will be great if you take the time to recover fully and properly. 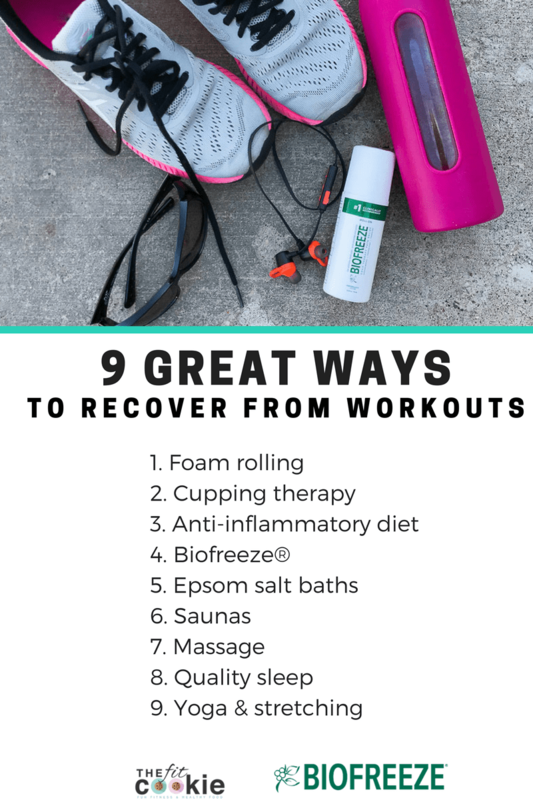 If you’re looking for some new self-care ideas, here’s a list of 9 great ways to recover from workouts! Foam rolling is an essential part of any fitness lover’s tool box! Foam rolling provides a type of deep tissue massage and myofascial release for muscles, breaking up scar tissue and helping muscles and connective tissue stay elastic and flexible. This is one of my favorite ways to ease muscle tightness at home, I even wrote a post about this just a couple days ago! Cupping therapy is an amazing tool for myofascial release just like foam rolling is, but instead of compression, cupping provides myofascial decompression to address trigger points and adhesions. Although cupping therapy isn’t always relaxing since myofascial release can be painful at times, it is hugely beneficial if you tend to get trigger points easily and struggle with fascial restriction. An anti-inflammatory diet isn’t really a “diet”, in this term it’s a way of eating. Focusing your nutrition on whole foods that are minimally processed and low in sugar is a great way to reduce inflammation in the body. An anti-inflammatory diet is high in fruits and veggies, high in natural whole food fiber, low in sugar, minimal processed foods, low in trans fats, and high in healthy oily fish or fish oils. If you’re eating an anti-inflammatory diet, you may also check with your doctor about checking for food sensitivities and food allergies since those can create a high level of inflammation in the body and can even produce joint pain and muscle aches, making workout recovery a bit more challenging. 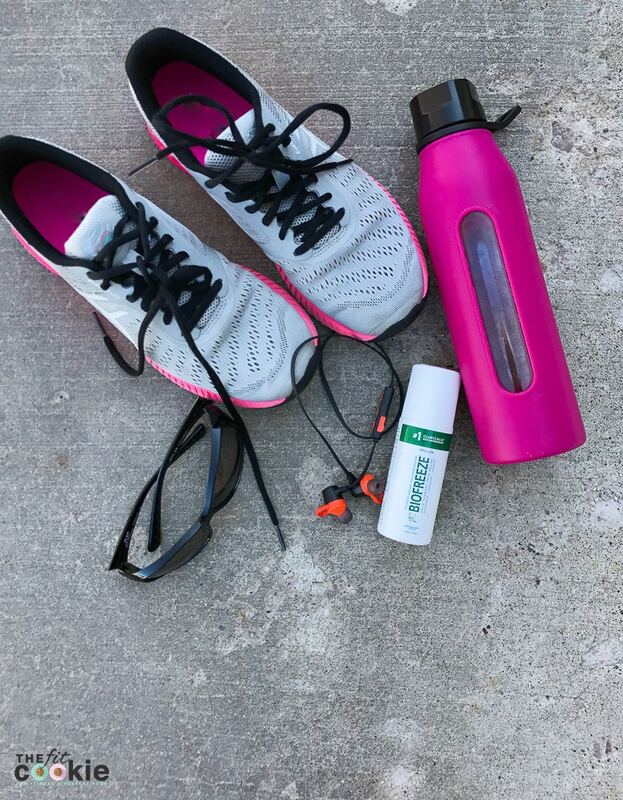 If you have minor muscle and joint aches, Biofreeze® topical analgesic products are a great way to provide temporary pain relief for exercise-induced aches. Biofreeze® contains United States Pharmacopeia (USP) grade menthol that is as effective as ice for treating pain, but it more convenient. Biofreeze® is a safe method of pain relief since it is non-narcotic, contains no NSAIDS, and is free of salicylates or addictive substances. Biofreeze® products are now available at most major retailers, and you can check their store locator to see if Biofreeze® is available near you. There is limited scientific research on whether epsom salts are effective, but there has been some research suggesting that magnesium can indeed cross the skin (a topic of debate), meaning that epsom salt baths may deliver some beneficial magnesium to the body to help with muscle relaxation and recovery. “Detox” claims aside, epsom salt baths can be helpful for relaxation since sitting in a warm bath is relaxing anyway 😉 Some places also offer float therapy where you can get in a sensory deprivation chamber to float in a bath of epsom salts. Relaxing in a sauna for a few minutes after workouts a couple times a week may help with muscle soreness. Like the epsom salt baths, there isn’t much scientific research to back up the recovery effects of saunas, but the theory is that the heat of a sauna will help to relax your muscles and increase blood flow, speeding recovery after workouts. That said, you shouldn’t be using a sauna if you are pregnant, have high blood pressure or heart problems, have multiple sclerosis (MS), or have other medical issues for which your doctor has recommended that you avoid extreme heat. Just like foam rolling and cupping, massage is an amazing way to help release tight muscles, trigger points, and myofascial knots and adhesions. Hands on bodywork is a great way to improve mobility and speed healing of fatigued muscles. Don’t underestimate the power of quality sleep. It may seem like such a simple thing, but it makes a huge difference! Getting enough sleep each night gives your body time to heal and restore tissues that have been microdamaged by exercise. When you get enough sleep, it’s easier to make better food choices and have the energy to crush your workouts. Good sleep also prevents injury: when you are exhausted from little sleep, you are more likely to become injured during your workouts. Holding stretches for longer periods of time in yoga not only can improve flexibility, but it can also help with muscle recovery and muscle soreness. If you’re sore from a workout, try doing yoga or walking as an active recovery instead of writing off activity for the day. Yin yoga is a type of yoga where poses are held for several minutes at a time and has been shown to help with myofascial release. Relaxation poses like child’s pose or reclining butterfly, are traditionally held for 4 minutes, but you can modify the time to fit your needs, just make sure poses are held at least 60 seconds to get the myofascial release benefits. If you have minor aches in your joints and muscles from exercise, arthritis, or sprains and strains, Biofreeze® is a fast-acting and penetrating pain relief option that is safe and convenient. There are three ways you can choose to apply Biofreeze®: spray, gel, or the roll-on applicator. I personally love the roll-on applicator, it’s so easy to use and it keeps my hands from getting cold! The roll-on is my favorite way to use Biofreeze®! 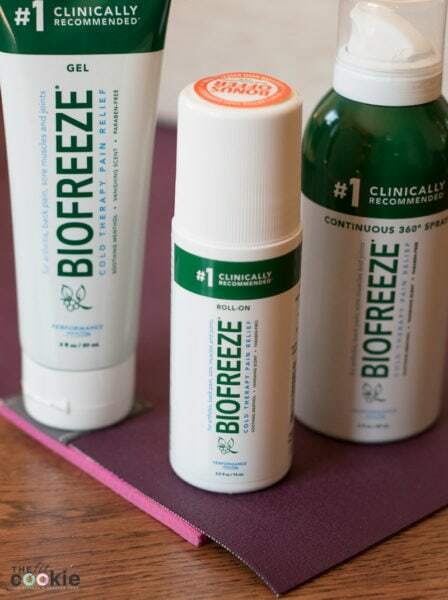 Not only does Biofreeze® contain pharmaceutical grade menthol for pain relief, it also has great pain-reliving herbal compounds like burdock, arnica, boswellia extract, calendula, and it’s free of parabens and propylene glycol. 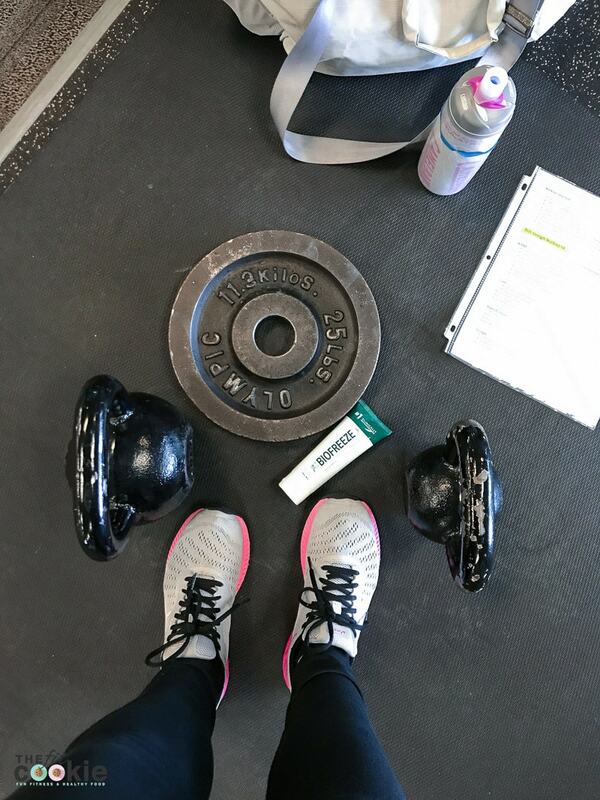 I love Biofreeze® for my sore muscles and joints after workouts! You can get Biofreeze® in their traditional green color, but is also available in dye-free formulas. Plus, Biofreeze® is never tested on animals and is made in the United States. Stay in touch with Biofreeze® and follow them on Facebook, Twitter, and Instagram! Great tips! I love foam rolling and Epsom Salt Baths!! I frequently foam roll, get monthly massages, aim for good sleep nightly, and practice yoga at least once a week. But these other recovery ideas are new to me! I’ll have to try them out. It makes a world of difference. Preventative medicine, if you will. These are great tips! I haven’t tried cupping yet (I’m a big of a wuss when it comes to trying this like this), but many of my friends swear by it. I cannot advocate enough for sleep, though. Probably makes the biggest difference for me! Thanks for sharing! I am completely on board with the post workout sauna and massage sesh! I don’t get into the sauna enough these days, I feel so good when I do so I need to carve out time for it!